﻿When used within the first few minutes of a sudden cardiac arrest, a defibrillator can significantly increase a victim’s chance of survival from less than 5% to 70% and higher. The CPR Meter is an advanced tool to assist when administering CPR. 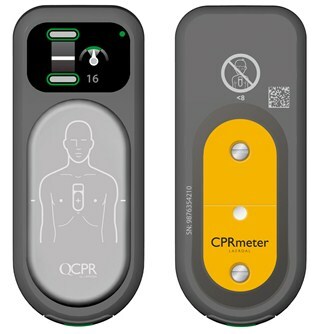 The CPR Meter has sensors embedded within it, which allow the user to measure the acceleration and force being used and then converts these measurements into comprehensive data. 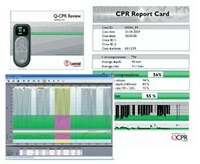 For learners, the CPR Meter provides feedback on each compression. With excellent viewing angles, even in difficult situations, the CPR Meter is ideal for any emergency situation.